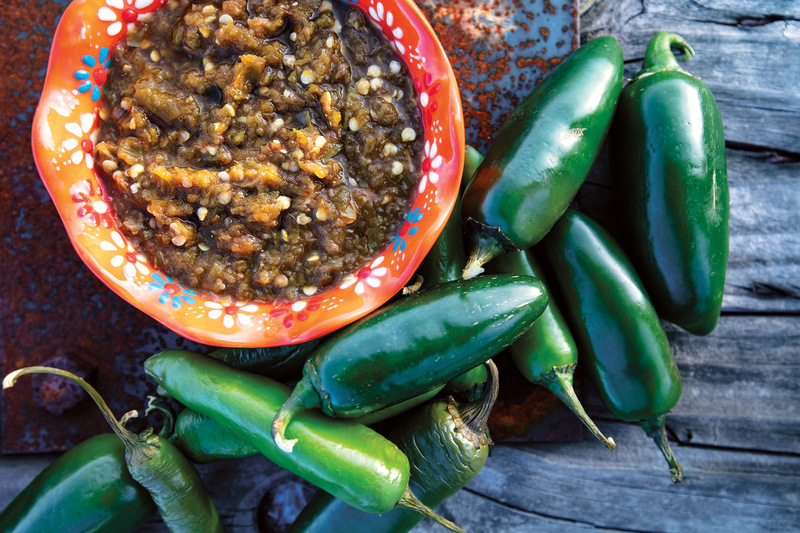 This salsa, which has four times as many peppers as it does tomatoes, adds an extra-spicy kick to any dish, and the simple recipe makes it easy to prepare any time. Heat a comal or cast-iron skillet over medium heat. Roast whole jalapeños and tomato until blackened on all sides, then transfer to a resealable bag to rest for 5-10 minutes. After it cools, remove and discard skins from chiles and tomato. Do not deseed chiles. Small dice all ingredients, add salt to taste, and serve.